Ross Mickel is probably one of Washington's most understated, and if you ask those in the know, under-rated winemakers. His unassuming label, Ross Andrew seems to fit his humble personality, but his talent is undeniable. If you doubt me, just note Ross was invited by the team at Force Majeure, formerly Grande Reve to craft their Series II which has garnered some lofty scores in the 97 and 95 point neighborhood. So while Ross has the talent to deliver some serious wines he has yet to develop the ego or the obnoxious pricing to match it. Frankly, it just doesn't suit him so likely, his wines like him will remain approachable in price for us to continue to enjoy. 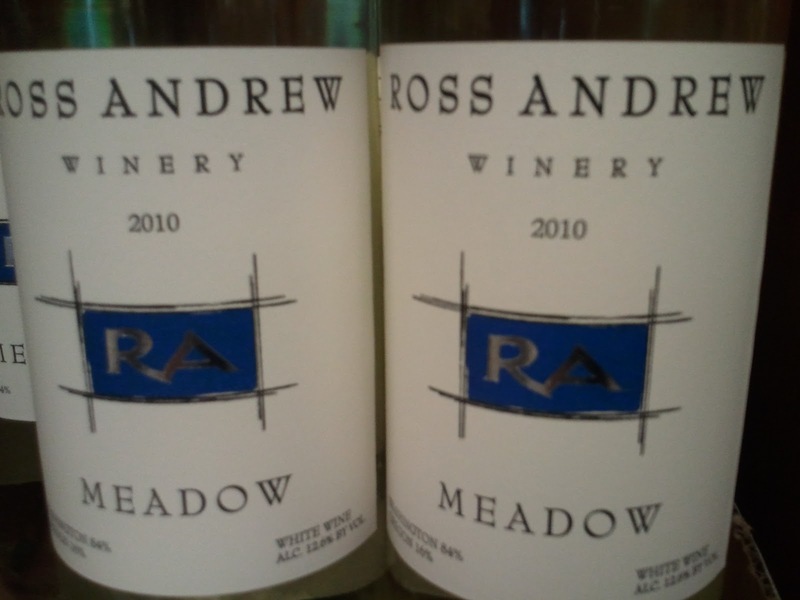 The Meadow is a white wine blend from Ross Andrew that seems such a natural for the Anthem. The fruit for the wine is sourced from both Washington(84%), in the Columbia Gorge and Oregon's Willamette Valley (16%). The resulting wine is another great example of the kind of aromatic whites the Northwest is capable of. Loads of aromatics that include pear and fresh cut green apple. The wine is bright young stone fruits and a kiss of lemon peel. Mostly Pinot Blanc, with a mix of Pinot Gris and the bold aromatics coming from the Riesling and Gewurtztraminer. Also, probably my favorite chidlren's rhyme to read to my daughter right now is Over in the Meadow. 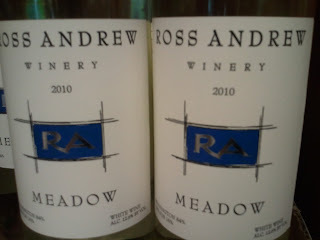 The Ross Andrew wines are fairly well distributed in the Seattle market .